Great digital marketers should use every tool at their disposal to make great marketing campaigns. Yet, there is one area of digital marketing often considered an afterthought. That sounds like a no-brainer, right? It is, especially in the age where data is everywhere and easily obtainable. Despite this, studies have shown only a staggering 22% of marketers believe they have a full spectrum view of their ability to use marketing data to improve their return on investment (ROI). Marketing analytics software is the foundation on which you can increase your marketing ROI. Marketers who aren’t properly utilizing analytics software aren’t seeing the bigger picture. It pays to make a business decision without regret. The data is there, it’s up to you to use it. By controlling and analyzing data metrics, you can get the insights into your marketing strategies, which ultimately opens doors to wiser spending and the discovery of untapped areas of marketing potential. “But, I already use Google Analytics,” I hear you say. 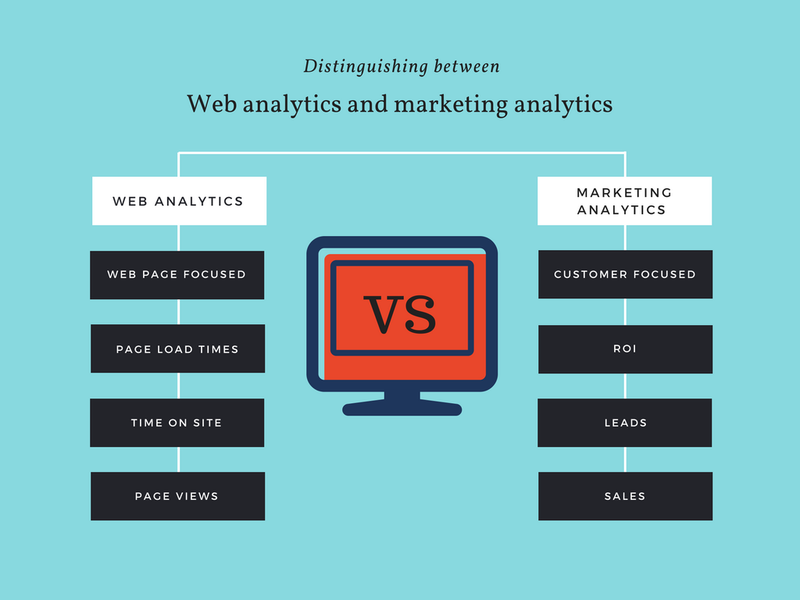 Tools like Google Analytics are web analytics, not marketing analytics. They may seem similar but they do completely different things. Web analytics measure metrics such as website traffic, unique visitors and bounce rates. These are useful metrics, but they serve a different purpose. They will give you an overall insight into the performance of your website on a more technical level. They won’t be able to tell you which marketing campaigns worked, which ones didn’t and the ways in which you can improve. On the other hand, marketing analytics can give you insight into leads, traffic, sales and much more. These are the business-oriented metrics key for measuring the success of your marketing campaigns and ROI. According to this article, marketing analytics has been a blind spot for marketers since 2011, with only 48% of marketers actively measuring campaigns. But, before we dive in, let’s define what return on investment actually is. You probably have a ballpark figure of how much money you spend on marketing, but do you know if this money is being spent wisely? Return on investment (ROI) is a measurement that expresses the amount of money you earn for the amount of money you spend. Obviously, you want to maximise your profits and yield the maximum return on your investment and mitigate making bad investments. Your ROI will not only let you justify the money you spend on marketing, but it will help you decide on future spending levels and how resources should be allocated. However, increasing your ROI can be a tricky and complex process and some businesses aren’t seeing the return on investment they envisaged. Here is the most common sum. This will give you a general overview of your ROI. It is always best practice to reference this as part of your key performance indicator (KPI) strategies. Other methods offer more precise information. Each method is better suited to a particular kind of business and may be more suitable depending on what your KPI’s are. That said, any of them with give you a clear indication of your ROI. The costs of ROI are largely dependent on your business niche. You can generally determine your investment by calculating the following. These are the broadest and most generic costs that almost any marketing department will have to take into consideration. Generally, it is best practice to include all aspects of marketing, including media expenses, development time, and human costs. And how do you calculate financial value? You need to determine what your sales baseline is. I.e your generated revenue if you didn’t spend any capital on marketing. 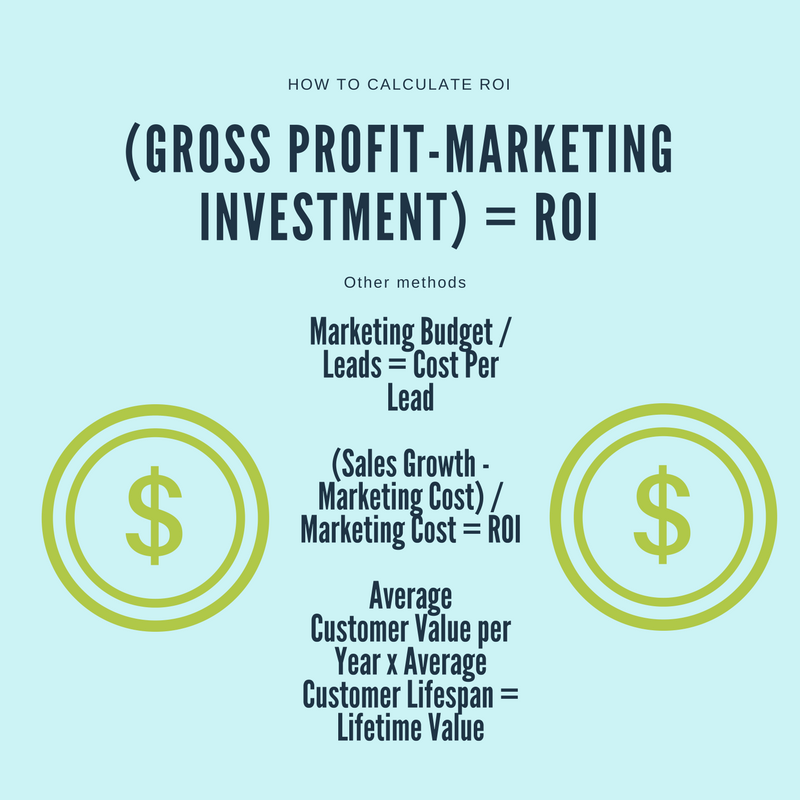 When you add this up, you get a clear picture of how good your ROI is. 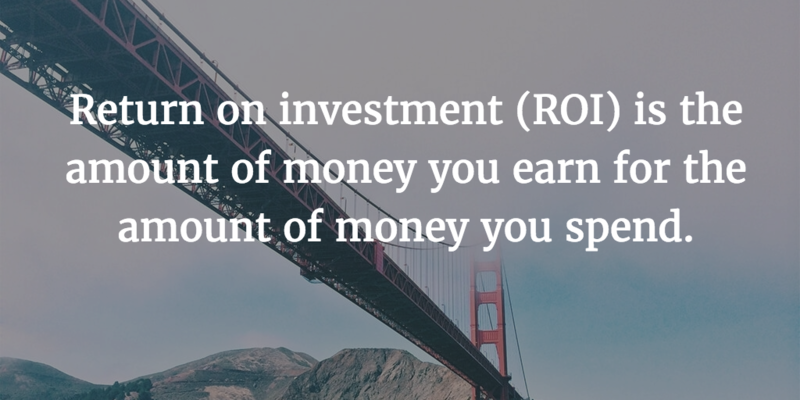 A good ROI is considered to be a 5:1 ratio which is in the middle of the bell curve. Effectively, every $5 you spend should generate $25. Now, let’s dive into how to choose a marketing analytics software. Marketing and data go hand in hand. Without the data, you’d be hardpressed to run a marketing campaign with confidence. In a nutshell, marketing analytics software work by consolidating data from all of your marketing channels and storing it in a central location, giving you an easily accessible and comprehensible view into your marketing performance. Every marketer should know what they want out of a marketing analytics software before they purchase one. Have clear definitions of what your KPI’s are and how your marketing department operates. Here are some marketing questions to ask yourself. Who will be assessing the data and do they already have training in analytics? If you’re a startup or small business without a dedicated analytics team, you should prioritize a solution that emphasizes user-friendliness. How many interactions does it take to convert a lead? More and more vendors are providing solutions that give you detailed information on individual customers, which can be particularly beneficial if it takes multiple interactions to convert a lead. This will be one of the chief determiners of the kind of marketing analytics software you should choose. If you’re a business that prioritizes customer relationships, choose a marketing analytics software that integrates with a CRM, which will give you value throughout the customer life-cycle and will be a key component of your sales funnel. Broadly speaking, nearly all marketing analytics software will assess your click-through rates, bounce rates, conversions, search engine referrals etc. (See our software guide for an in-depth look at these terms). Here are the primary features and functionalities to look out for when choosing marketing analytics software. Do you expect your business to grow in the future? Depending on your answer you should a software that can facilitate the number of marketing channels you need to support your business. If this proves to be a complex task in of itself you will likely need a solution that offers multi-channel analytics. This is especially important for users new to marketing analytics. Humans tend to be more reciprocative to visual information, so choosing a software that is heavily visualized will not only help you make sense of the data, but it will also lower the time needed to train staff in its use. In addition, choose a software with good support. Variables such as product training, support channels, technical support and documentation should be taken into consideration. This is a broad term for the kind of data that gives you insights into the entire customer journey. With customer-centric data, you can understand consumer behavior, interests, and the way they engage with your business. On bpm’online marketing, you can track how leads are interacting with your marketing campaigns. For example, if a lead arrived at your website from social media, email, organic search and so on. This information is valuable because it opens up the doors to lead nurturing. Lead nurturing is a way of making leads stick around. This approach takes a personal route as you’re targeting individuals as opposed to masses. Customer-centric data will let you know how each lead ticks and what their needs are. It is then up to you to facilitate these needs through content production and personalized messages. The more integrations an analytics software has, the more utility you will get out of it. If you’re already using a CRM, email marketing service etc, it would be ideal to choose an analytics software that can integrate with them seamlessly. For example, Funnel.io lets you easily see the effect of multiple marketing channels working together. For instance, let’s say you started a social media campaign and an email marketing campaign at the same time, you would be able to compare how many leads were converted by each strategy, among a myriad of other performance metrics. Real-time analytics will provide insights on campaigns that are actually happening. The ability to capture these minute to minute metrics can be powerful, in-fact, research has suggested that customer engagement can increase up to 81%. So, you have all of the relevant data, but how do you use it? Vanity metrics are the kind of data that you might use to give yourself a pat on the back in validation of your efforts. These metrics are easily manipulatable and rarely hold any worthwhile information for your marketing strategies. Things such as page views and user counts may seem important at first. But, they don’t mean much if users are viewing your pages once and never coming back. It is important to note vanity metrics differ from business to business. You need to be sure of what you’re trying to measure. For example, while social media likes, shares, and followers may be vanity metrics to a business trying to increase their sales revenue, it would be appropriate for a business trying to enhance their presence on social media. Avoid analyzing every little piece of data. You’ll likely swamp yourself with more data than you know what to do with. Review your historical data and look for trends that will help you in the long run. The past, present and future need to be addressed. Here are some of the most important questions to ask yourself. Past – What campaigns were the most successful and how much revenue did they generate? Present – How are current marketing campaigns comparing to previous campaigns? 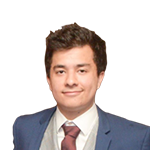 Future – How can I improve my deficient marketing channels? Lastly, define your KPIs, experiment and don’t stress over short-term growth measurements. This recent study shows that effective data and analysis can improve bottom-line results by 7.5%. Simply put, you need to learn to improve, but it can take time. An analytics software can highlight and monitor aspects of your marketing campaigns and give you a clear indication of their effectiveness. There are a lot of comparable marketing analytics software out there, and you need to choose the one that will help with your KPIs. It is important for marketers to bridge the relation between actions and revenue. Marketing analytics software has advanced considerably and can derive marketing insights across a range of platforms and channels. Yet, a surprising amount of marketers are avoiding marketing analytics or aren’t using it to its full potential. Marketing data should be a marketer’s best friend, not an afterthought. If you fall into that category, hopefully, this post has illuminated just how useful it can be to incorporate marketing analytics into your strategies. This will ensure that you are getting the best out of your primary marketing tools. To sum up, marketing analytics software provides the foundations for truly great marketing strategies and an increased ROI. But, the insights and data will only matter if you’re using it to fuel future and better marketing initiatives. It will help you understand the big picture, monitor trends, and determine which initiatives worked and why.